At Tahoe Powersports we strive to provide our clientele with a truly unique Lake Tahoe boat charter experience. Our Lake Tahoe boat charter fleet consists of Cobalt boats. Cobalt's are the Cadillac of the Lake as their craftsmanship and superior ride are second to none. Your Cobalt boat will be captained by one of our Lake Tahoe experts. They will be able to take you on the Lake where ever you would like to go. Maybe it will be the glistening waters of Emerald Bay or a short stop to take in the majestic beauty of Sugar Pine Park. You may even want to park the boat at the dock to grab a bite at Sunnyside Restaurant. With our private boat charters, you structure your day and your Lake Tahoe expert captain can take you there in style. 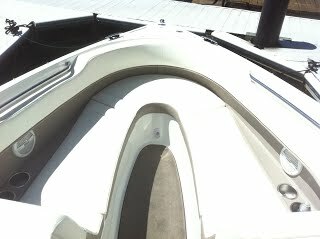 Tahoe Powersports private boat charters can accommodate up to six guests in addition to your private boat captain. Here at Tahoe Powersports we pride ourselves in offering All-Inclusive, Luxury service. Your boat will be fully equipped. There are no hidden fees for life jackets, wake boards, water skis or inner tubes. Schedule your private boat charter today!